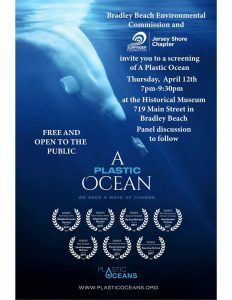 Come see the award-winning documentary, A Plastic Ocean, dedicated to raising awareness, promoting scientific research and initiating the development of solutions to the problem of plastics in our environment. Doors open on April 12, 2018 at 6:30 PM and the film will begin at 7:00 PM sharp. **Teens are welcome but the film is not recommended for small children.